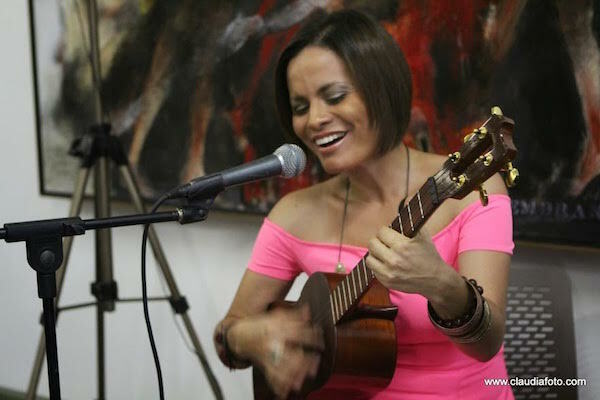 Her music has a style of its own but always rooted in Venezuelan traditional music blended with tinges of bossa nova, jazz and other modern rhythms in her arrangements. Her voice stands out for its beauty, tuning and cool touch with a deep feeling. Now, she unfolds her new musical phase in a more artistic and complete way both as a musician and a singer being the female voice of the venezuelan cuatro. In 2010, she left for The United States to keep on growing musically. There she explored the local circuit interpreting her own music as a singer songwriter. Among her successful presentations were the full house shows in Miami, Florida where she performed at concert halls like Books & Books, Van Dyke Café, and Teatro Para Todos, Hoy Como Ayer, Miami Hilton Intercontinental Wynwood Kitchen and Bar, MOCA Museum of Contemporary Art, North Miami. She also performed sold out in New York at Terraza Seven, El Taller Latinoamericano, Casa Mezcal, Antibes Bistró and Shrine World Music Venue. is currently promoting her latest outing entitled “Aquí y allá” where she debuts as arranger and composer of most tracks, and producer. No Replies to "Maria Alejandra Rodriguez"